Amar’e Stoudemire, DeSean Jackson and Chris Bosh Biotch link up with the Cool Kids & cop some of Nike’s newest Max’s. Damn I need some of this Nike endorsement money too!! The good brothers at Rap Relapse asked my opinion on who was better LeBron or Carmelo. Check out what I had to say up top. 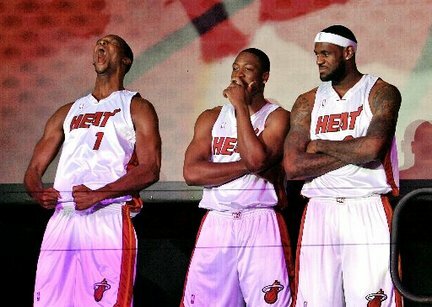 So King James made his “Decision” to join Wade & Bosh down in Miami this fall.